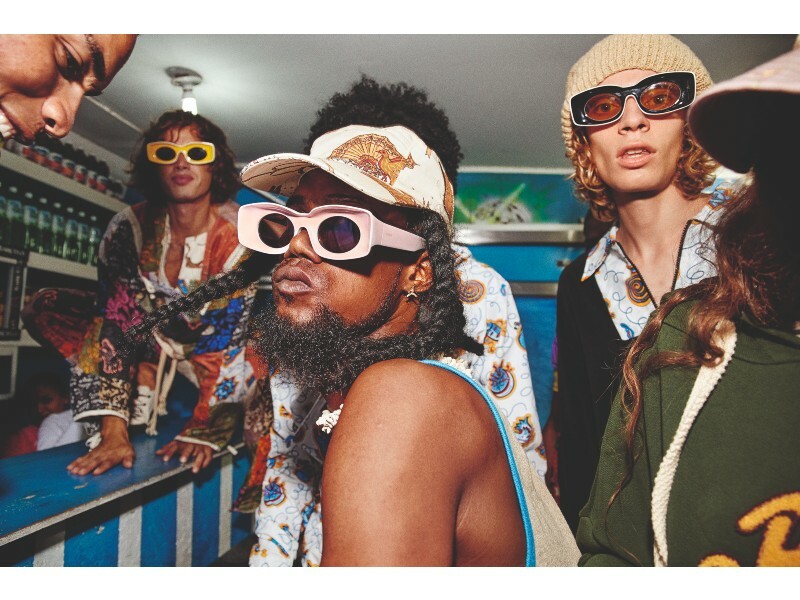 It was way back in 2017 that the Spanish luxury brand, Loewe, broke news that they were reviving Paula’s Ibiza through a Spring/ Summer capsule collection. The boutique, Paula’s Ibiza, was founded in 1972 by the architect Armin Heinemann. Last season, Loewe’s creative director, Jonathan W. Anderson, roped in Gray Sorrenti to photograph the Paula’s Ibiza campaign. 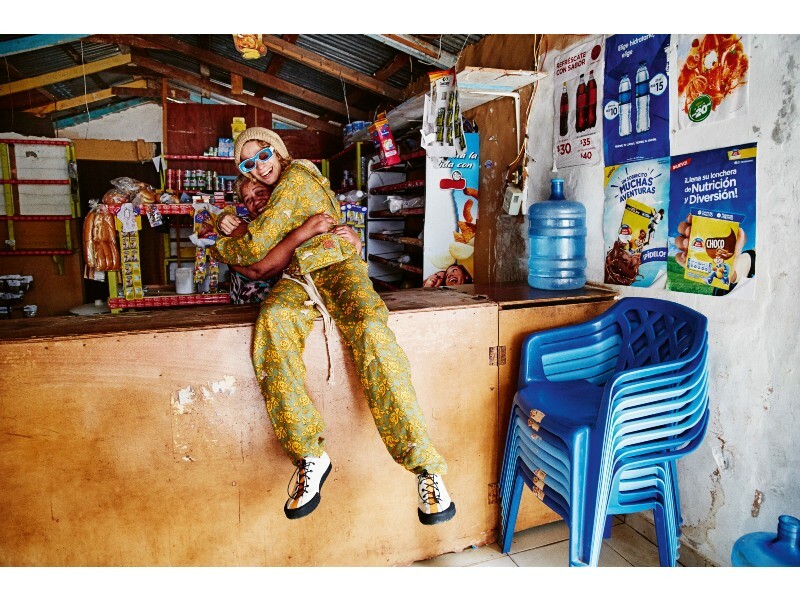 This time round, Loewe tapped the young female photographer once again. Gray Sorrenti is the daughter of the acclaimed fashion photographer, Mario Sorrenti. She turns 19 this year. While the previous campaign was set in the Balearic Island archipelago, home to the Ibiza island, this year’s campaign features the Dominican Republic. From what we heard, this year’s instalment of the Paula’s Ibiza collection is going to be a huge one. We’re expecting a huge drop in stores on the 15th April. While the Loewe boutiques in Ngee Ann City and The Shoppes Marina Bay Sands will both stock pieces from this Paula’s drop, the Loewe store in Paragon is set to carry the biggest collection. 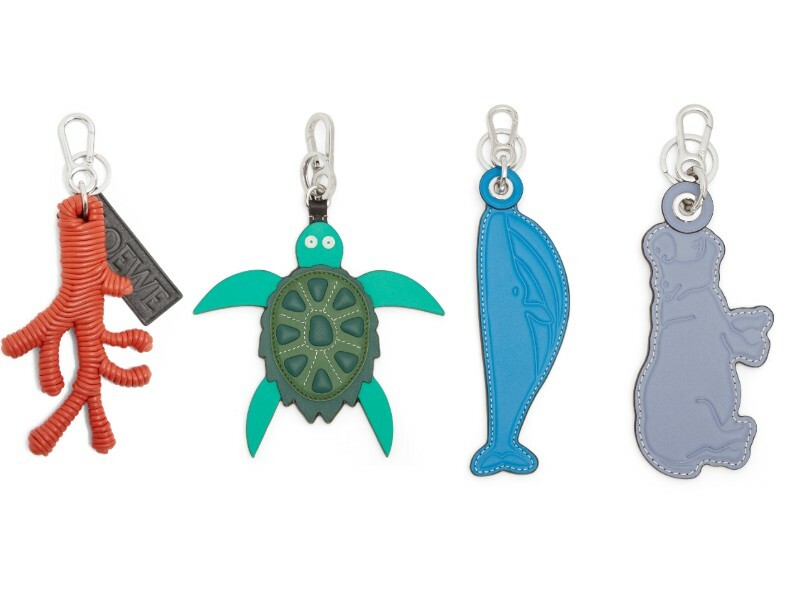 From left: a coral key ring (S$850); a turtle charm (S$550); a whale charm (S$250); a hippo charm (S$750). 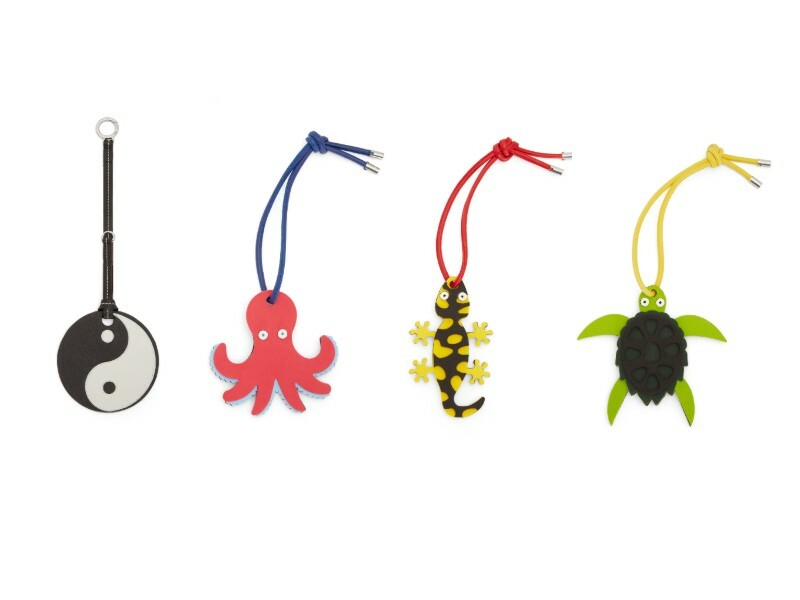 From left: a Yin Yang charm (S$490); an octopus charm (S$250); a salamander charm (S$250); a turtle charm (S$250). 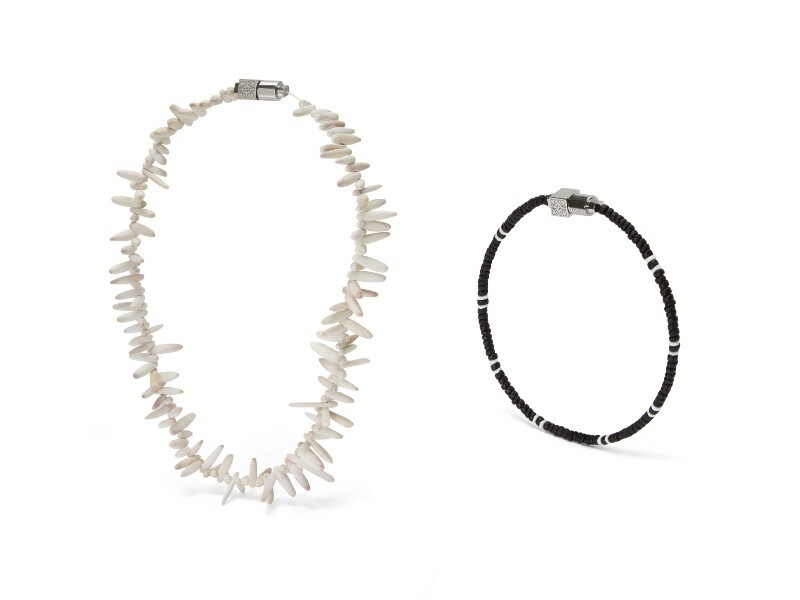 From left: a shell necklace (S$750); a friendship bracelet (S$250). 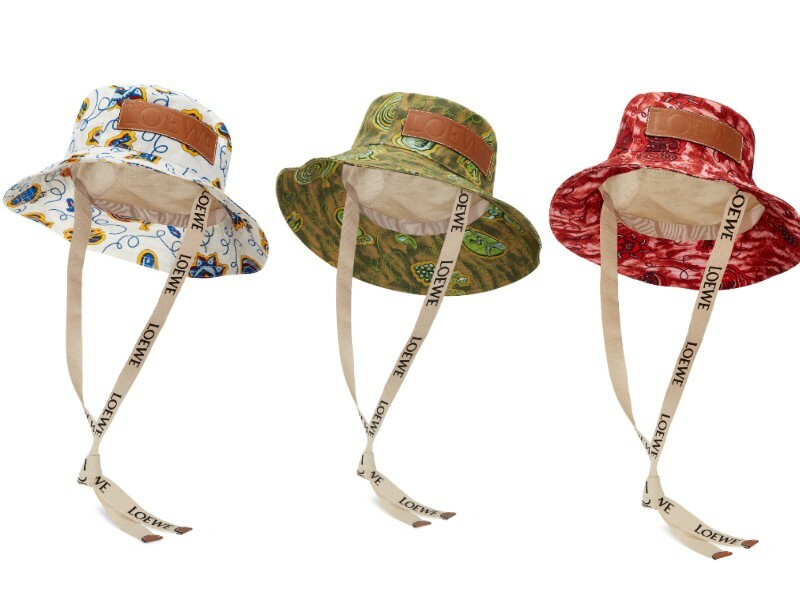 From left: white, green, and red bucket hats (S$690). This series includes an orange bucket hat too. 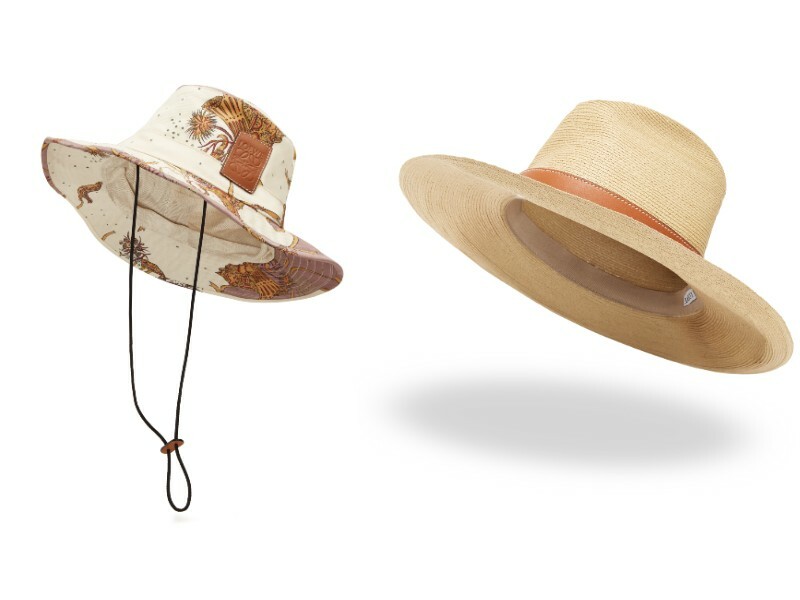 From left: a white bucket hat (S$550); a straw hat (S$690). 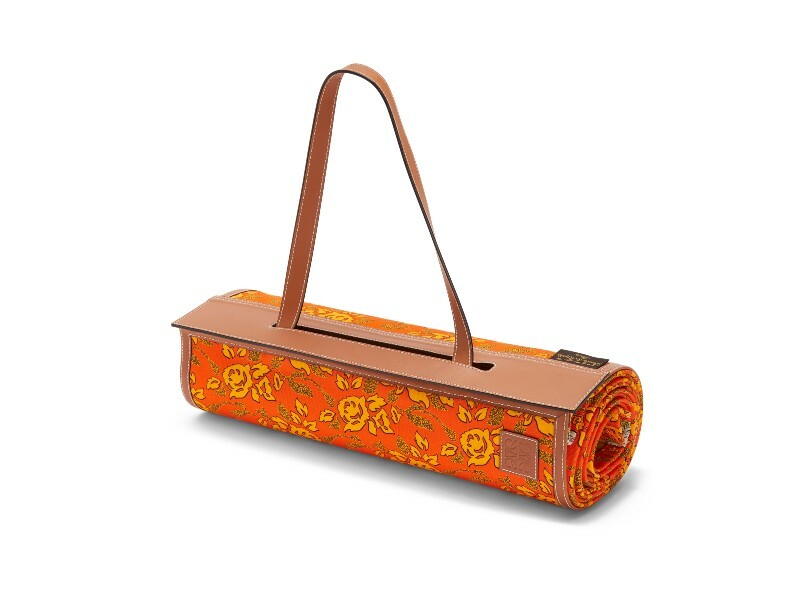 A Paula beach mat (S$990). 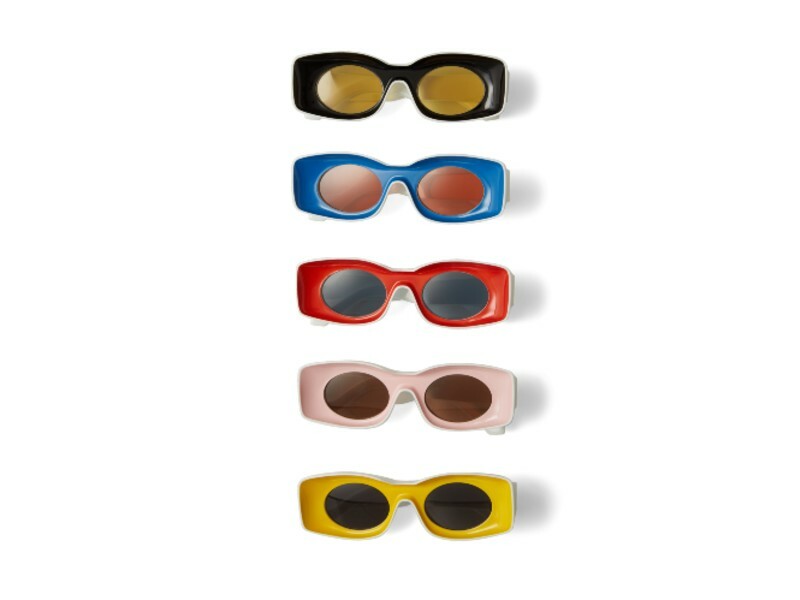 From top down: acrylic sunglasses in black, blue, red, pink, and yellow (S$480 each). 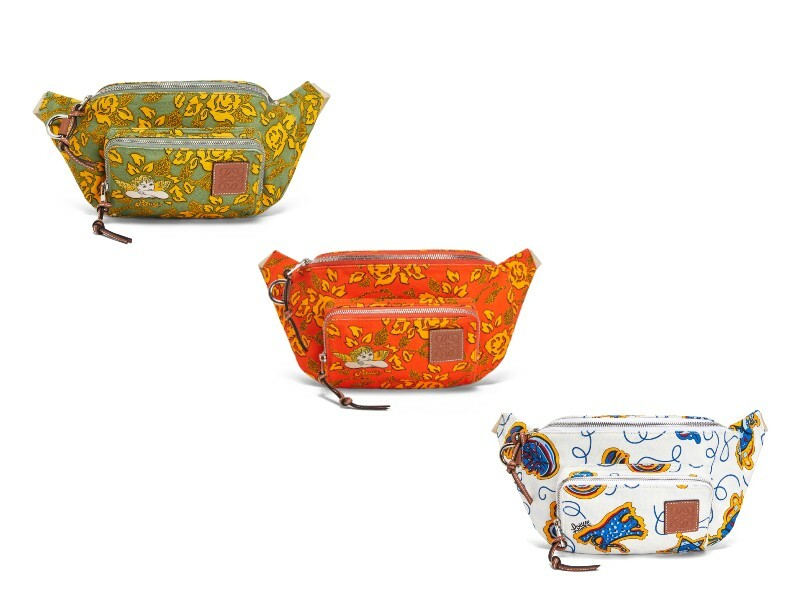 New to the Loewe accessories family is the fanny pack. Here, the new bum bag in green, orange, and white (S$850 each). Another addition to Loewe’s accessories family is the new Cushion tote — a roomy summer bag for beach outings. 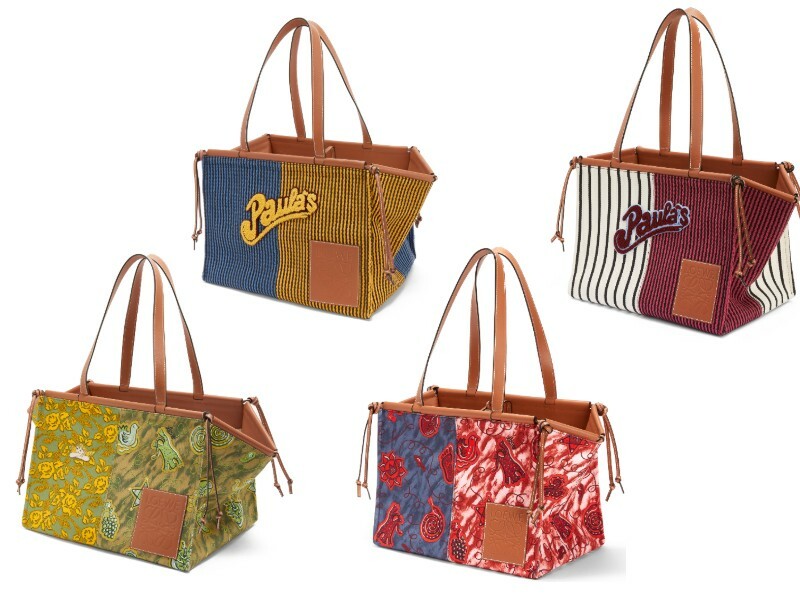 Above from left: a large, green Paula printed Cushion tote (S$1,850); a large, blue and yellow striped Cushion tote with “Paula’s” logo (S$1,900); a blue and red printed Cushion tote in regular size (S$1,650); a white and red striped Cushion tote in regular size (S$1,700). 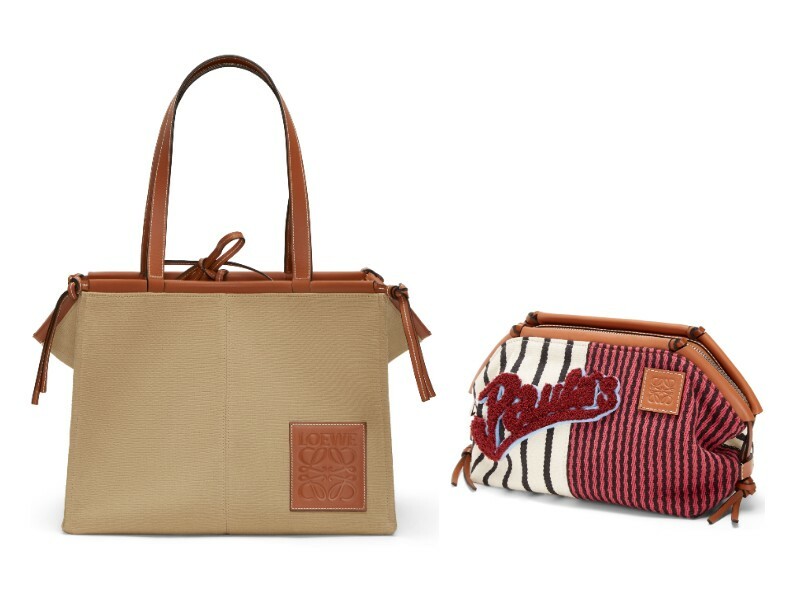 Here, a frontal view of the new Cushion tote (S$370) and an accompanying new printed Cushion pouch (S$750). 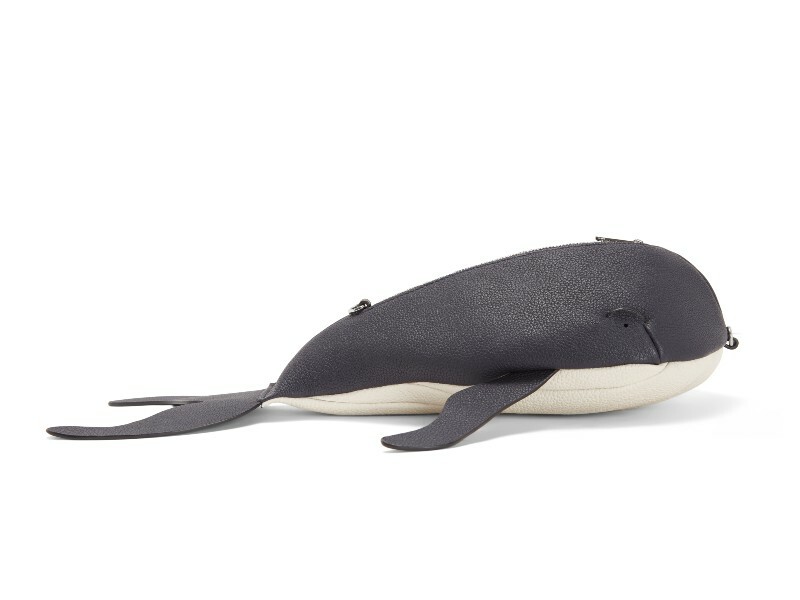 A whale mini bag (S$1,990). 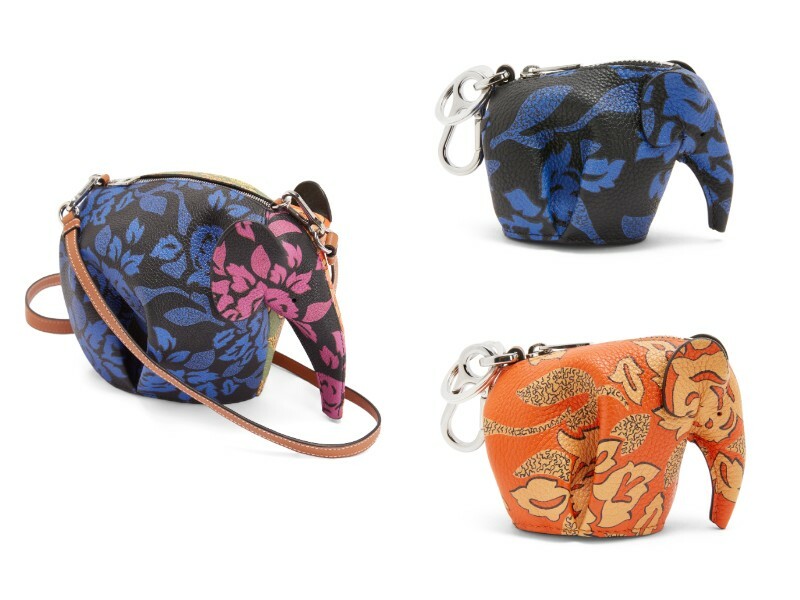 From left: a printed mini elephant bag (S$2,150); printed elephant charms in blue and orange (S$690 each). 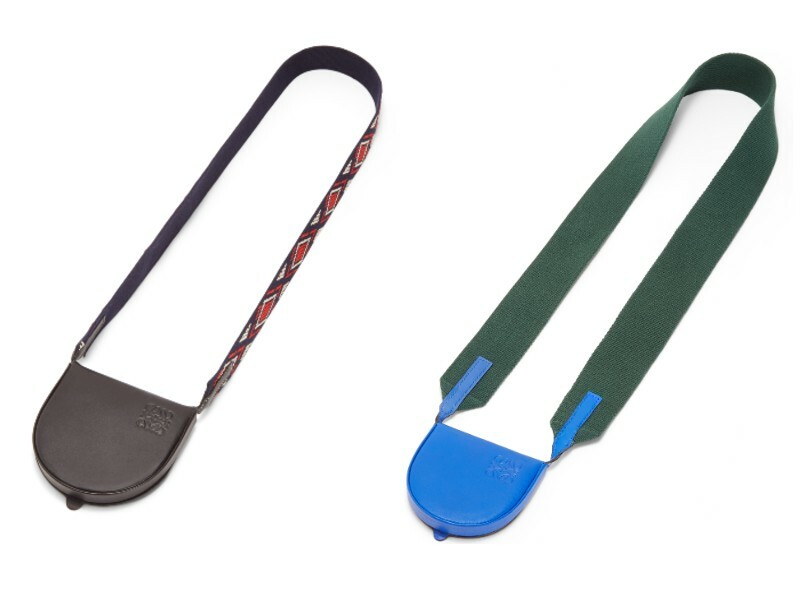 From left: large Heel pouch in black (S$690); small Heel pouch in blue (S$550). 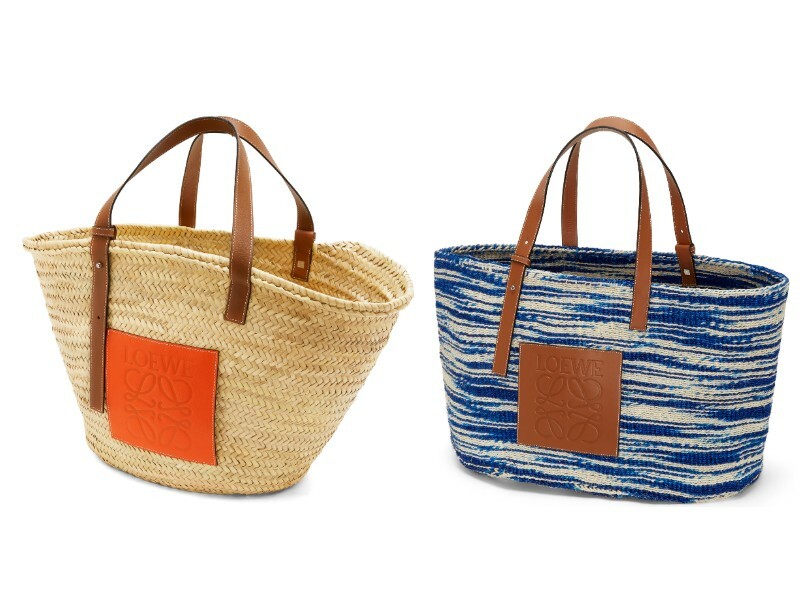 From left: a basket bag in natural and orange (price TBC); blue basket bag (price TBC). 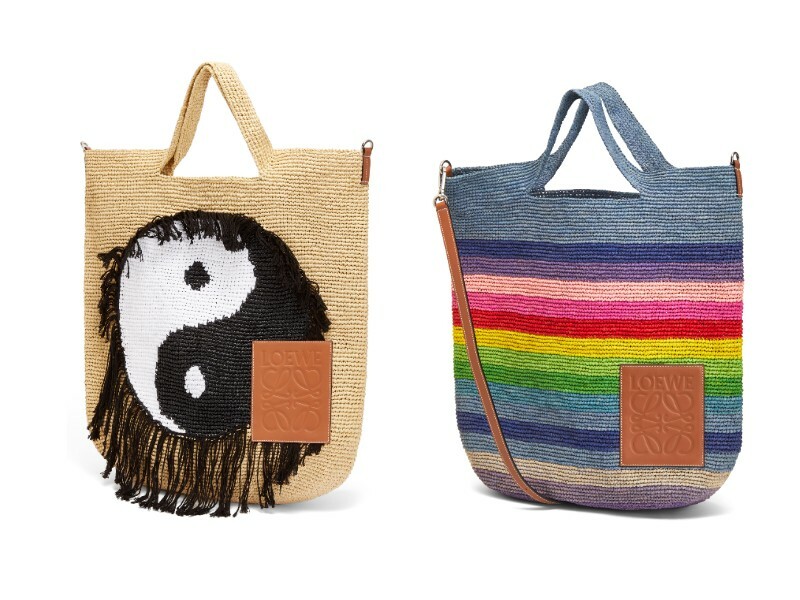 From left: Yin Yang Slit tote in large (S$1,900); Rainbow Slit tote in large (S$1,550). 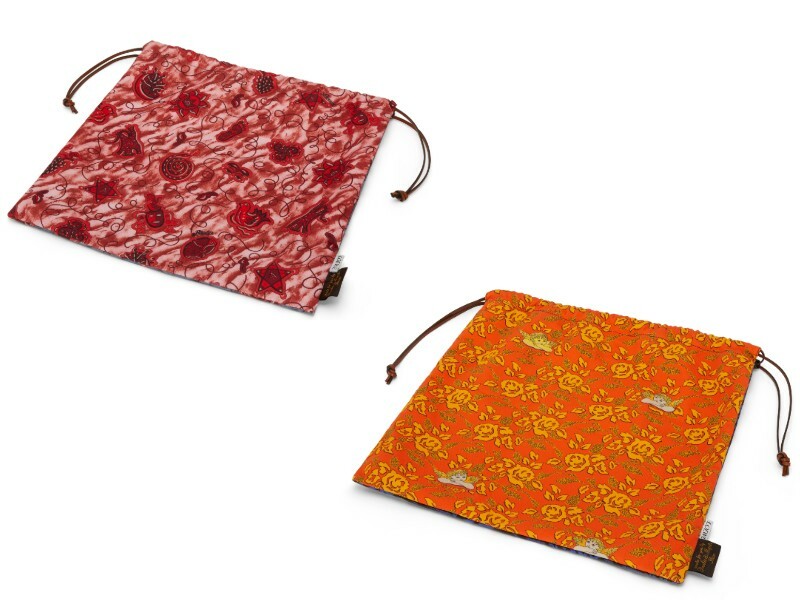 From left: a printed, large drawstring pouch in red (S$490); a printed, large drawstring pouch in orange (S$490). 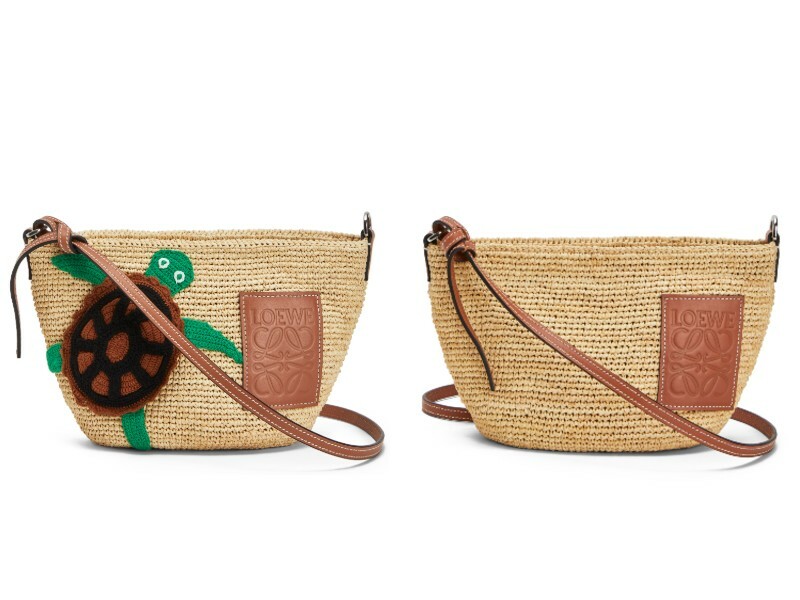 From left: a turtle raffia pochette (S$1,100); a regular raffia pochette (price TBC). From left: a white-blue Hammock (price TBC); a medium raffia and orange leather Hammock (S$3,300); a tan-orange Hammock (price TBC). 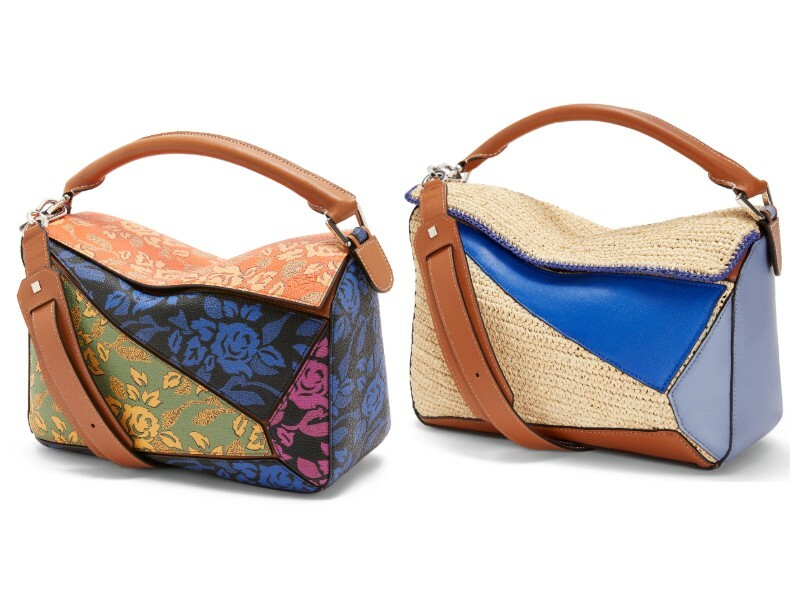 From left: a printed, multi-coloured Puzzle bag (S$3,300); a raffia and leather patchwork Puzzle bag (S$4,450). 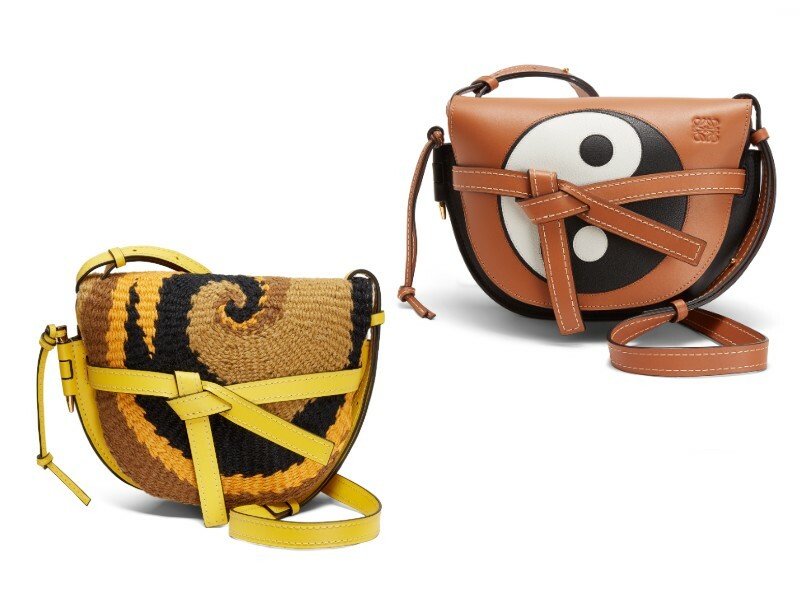 From left: a small, yellow, woven Gate bag (S$4,250); a tan-black Yin Yang small Gate bag (S$3,700). 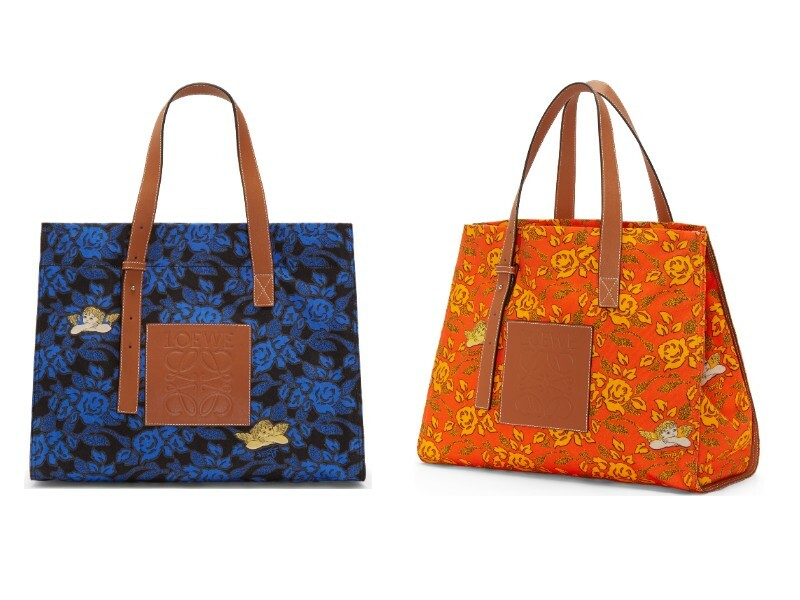 From left: a blue Prints tote (S$1,150); an orange Prints tote (S$1,150). 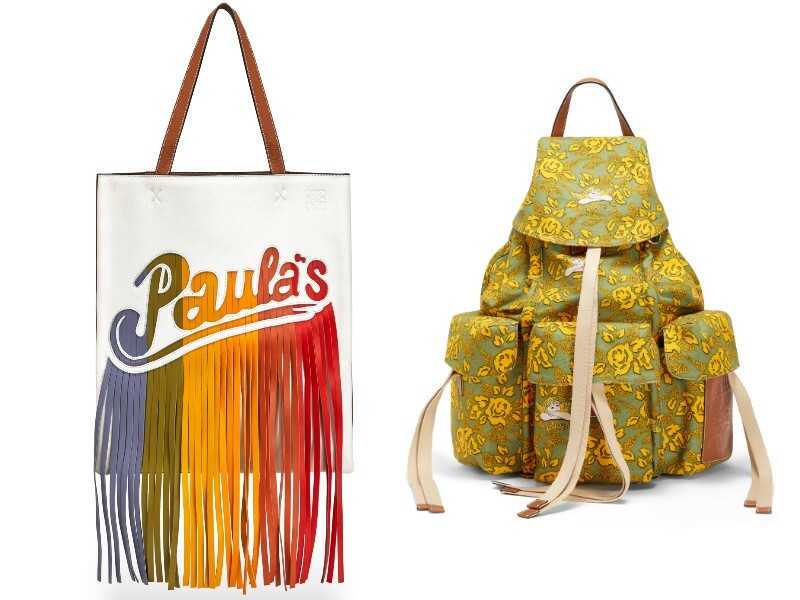 From left: a rainbow-coloured, fringed Paula’s tote (S$3,100); a printed green rucksack (S$2,500). 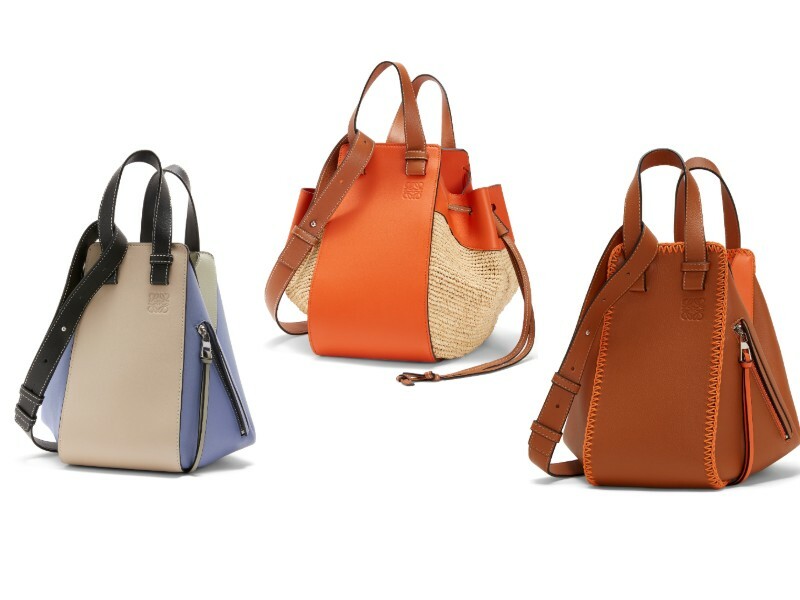 Loewe’s third Paula’s Ibiza collection will be available in stores this 15th April.